One of Wellspring’s most unique homelessness prevention programs is our donor driven Holiday Store. Each December Wellspring opens its doors to hundreds of low income families to “shop” for toys for their children. $2 buys three toys and one book per child. Last year this program served 854 children from 394 families, ensuring not only that these children would have a happy holiday, but also that their parents would not be forced to get behind on bills in order to do so. 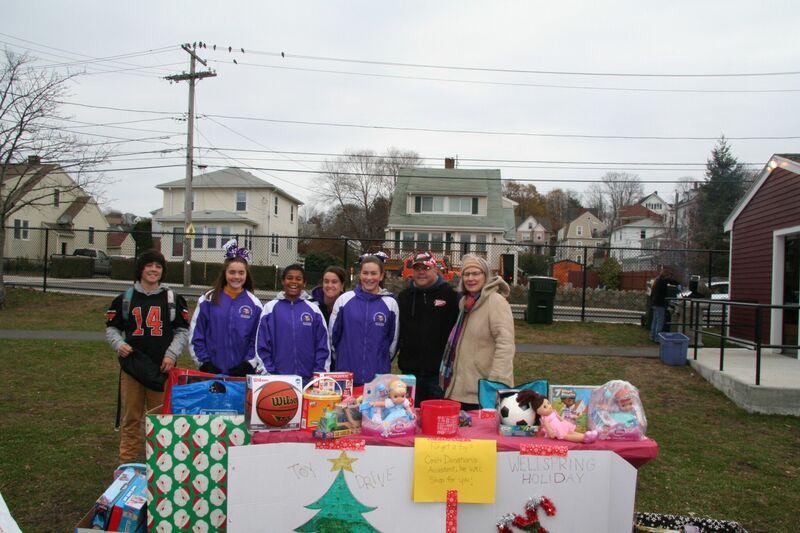 The operation of the Holiday Store relies strongly on toy donations. Please consider brightening the holiday season for those in need by heading up a toy drive for Wellspring in your community. For information contact Wellspring’s Development Associate, Mary Zivkovic at mzivkovic@wellspringhouse.org or call 978 281 3558, ext 301.